On The Corner was recorded in June and July 1972 and released later that year by Columbia Records. The album continued Davis’s exploration of jazz fusion, bringing together funk rhythms with the influence of experimental composer Karlheinz Stockhausen and free jazz saxophonist Ornette Coleman. 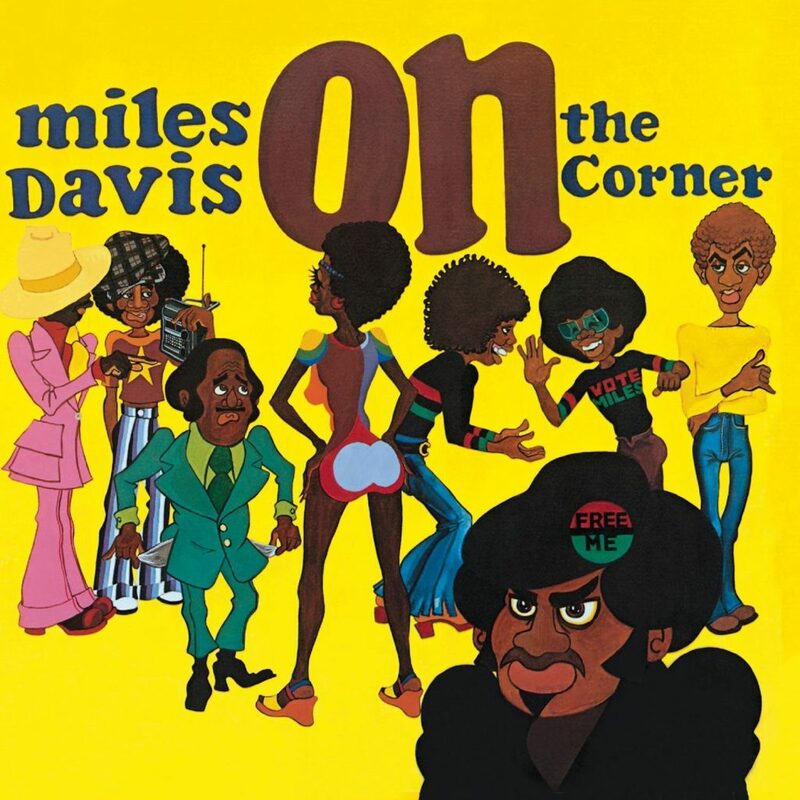 On the Corner was in part an effort by Davis to reach a younger African American audience who had left jazz for funk and rock and roll. Instead, it became one of his worst-selling albums and was scorned by jazz critics at the time of its release. It would be Davis’s last studio album of the 1970s conceived as a complete work; subsequently, he recorded haphazardly and focused instead on live performance before temporarily retiring from music in 1975.